When, “midway upon the journey of our life/[He] found [himself] within a forest dark,” Dante Alighieri went epic, envisioning a descent into hell, a spiritual purgation and eventual transcendence. 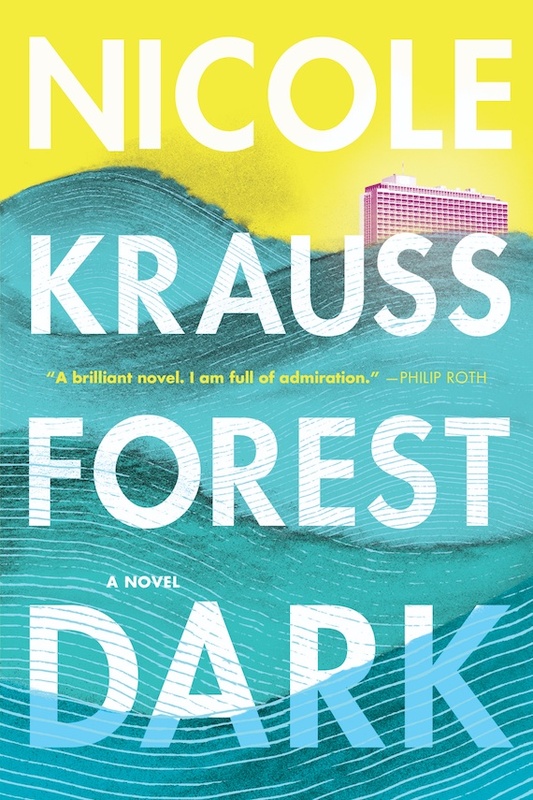 When the two central characters in Forest Dark, Nicole Krauss’s first novel in seven years suffer their own life crises, they head to Israel, search for meaning and for immanence, and wind up in the desert. Like the poem from which it borrows its title, Forest Dark is also epic, though in its own way: quiet, eerie, touchingly inchoate. It is an epic of loneliness, a testimony of and to longing that remains unfulfilled. Krauss’s great innovation is that the two strands never explicitly intersect, instead running parallel, provocatively echoing each other through places and objects and ideas without ever meeting. Both Jules and Nicole spend stretches of time at the Tel Aviv Hilton, the Brutalist “rectangle on stilts that dominates the Tel Aviv Coast.” (A series of increasing close-ups of the hotel appear early in the novel.) Nicole means to write a book about the hotel (or else set at the hotel or else inspired by the hotel), a place that holds “a kind of mystical aura” for her, the place from which she imagines she might be dreaming the entirety of her daily life. But the book refuses to be written, and so Nicole takes off from her Brooklyn home, leaves behind the husband who disappoints her and to whom she is a disappointment, leaves behind the two young sons who otherwise keep her tethered, in the hopes that, in Israel, at the Hilton, she will be able to focus and finally write. Jules, for his part, intends to use the Hilton as headquarters, a base from which to award the remains of his fortune (the $2 million left over after a giving spree that has alarmed his lawyer and alienated his son) to some worthy institution or another in honor of his parents’ memory. Neither remains at the Hilton, attention caught by quixotic projects, presented by fateful encounters. For Jules, the thread begins back in New York, when, at an event for “some fifty people representing the American Jewish leadership” to confer—which is to say, have a three-course meal—with the president of the Palestinian Authority, he meets Rabbi Menachem Klausner. His last name, Klausner informs a reluctant-to-engage Epstein, marks him as one with lineage that can be traced back to the dynastic line of King David. Once in Israel, Jules reconnects with the rabbi, spending a night at Gilgul, Klausner’s retreat in Safed, the mystical desert center for Kabbalah studies. There he meets a beautiful woman, the rabbi’s daughter, Yael, who impresses him more than the rabbi’s disquisitions on the finite and the infinite. Yael, it turns out, is working on a film about the life of David, “the most complex, fully wrought, and fascinating character in the whole Bible.” (That Jules’s first view of Yael—she’s emerging from a bath—replicates David’s initial vision of Bathsheba is an effective coincidence.) And suddenly, Jules is “new again to everything—new to the blazing white light off the waves, to the crying of the muezzin at dawn, new to the loss of appetite, to the body lightening, to a release from order, to the departing shore of the rational, new again to miracles, to poetry.” Nicole, for her part, becomes involved with Eliezer Friedman, possibly a former Mossad agent, possibly a retired professor of literature, certainly a man who relates a nearly impossible-to-believe story about Franz Kafka. Friedman claims to have access to the works hoarded, in a cat-infested apartment, by Eva Hoffe, daughter of Max Brod’s lover Esther, inheritor of Brod’s estate, jealous possessor of a priceless trove of Kafka’s manuscripts. In the least outlandish of his proposals, Friedman suggests that Nicole prepare an ending to an unfinished Kafka play, which is scheduled to be made into a film. How all of this turns out is not really the point. Krauss has always been a writer interested in the hidden, spiritual dimension of things, and her work concerns itself with the mystical, the metaphysical, the mysterious. The secret inner life of people, places, and objects preoccupies her far more than the directly observable. In her last novel, Great House, a writing desk served as a totem, imbuing the lives of the individuals who posses it at various moments with the possibility of grace and tempting them with damnation. In Forest Dark, she goes even more abstract, working less towards a climax than an epiphany. The novel starts out with a great deal of texture, with meticulously arranged details; it presents, initially, as a keenly observed and reported chronicle of two accomplished but unfulfilled lives. But as it progresses, and especially as it nears the end, it abandons any pretense of interest in connecting threads and cause-and-effect payoffs. This could be annoying, perhaps, but Krauss’s great, fearless gift is to work a motif until its essence reverberates throughout. Thinking about an improbable story Friedman relates, Nicole compares the tale to the conventional, accepted one and finds that “the one Friedman had drawn struck me as having the more beautiful shape—more complex, but also more subtle, and so closer to truth. In light of it, the familiar story now seemed clumsy, overblown, and steeped in cliché.” And so too of Forest Dark: it is beautiful and complex but subtle and so closer to truth. It is perhaps not particularly believable, but it is elegant and shimmering, a slant of light shining long enough to make us wonder.